REGINA - The deputy leader of Saskatchewan's Opposition NDP says the cold Christmas meal that was shown in a photo from a Regina nursing home isn't acceptable. 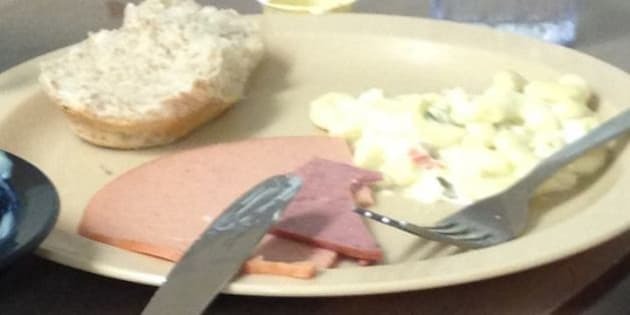 Trent Wotherspoon says the supper of sandwich meat, macaroni salad and a bun wasn't healthy, appropriate or dignified. Darlene Mitchell told CJME she took the picture after she went to see her 83-year-old father at Pioneer Village on Christmas Day at 5 p.m. The government says the seniors' home served a turkey meal earlier in the day for lunch. Wotherspoon says the cold supper of sandwich meat is not acceptable any day of the year. Mitchell says she posted the photo on Facebook and wants accountability for the government-run care home. "Once you know better, you do better, so I'm hoping that someone who sees this maybe will say 'Hey, that probably wasn't a good meal, so what could we do different?'" Mitchell said. "I don't ever want to walk in and see senior citizens slumped over eating sandwich meat on Christmas Day. That's what you'd give a dog." Pioneer Village is the largest seniors' home in Saskatchewan with 390 beds and 143 low income apartments. Mitchell said it isn't the first time her father has been served a meal that her family would not consider nutritious. She said her mother has also seen the meals that are served in the home and complained about them.